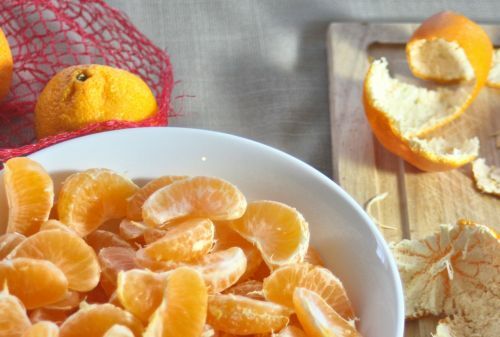 When life gets busy, it is often easiest to make the same, old staples for meals – things that are quick, or don’t take much thought to prepare. While I fall into this trap myself, I think we are cheating ourselves when we walk past ingredients in the grocery store just because we have never used them. For example, have you tried ponzu sauce? 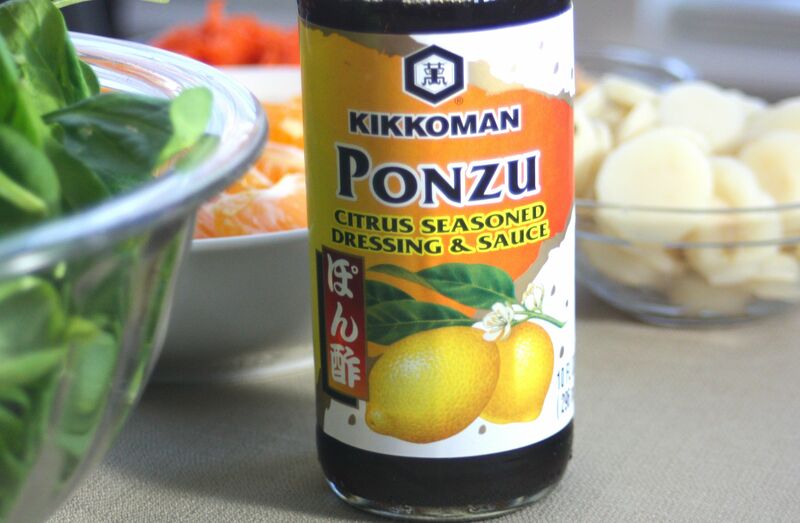 Ponzu sauce is a citrus based soy sauce that adds wonderful depth to an entree. 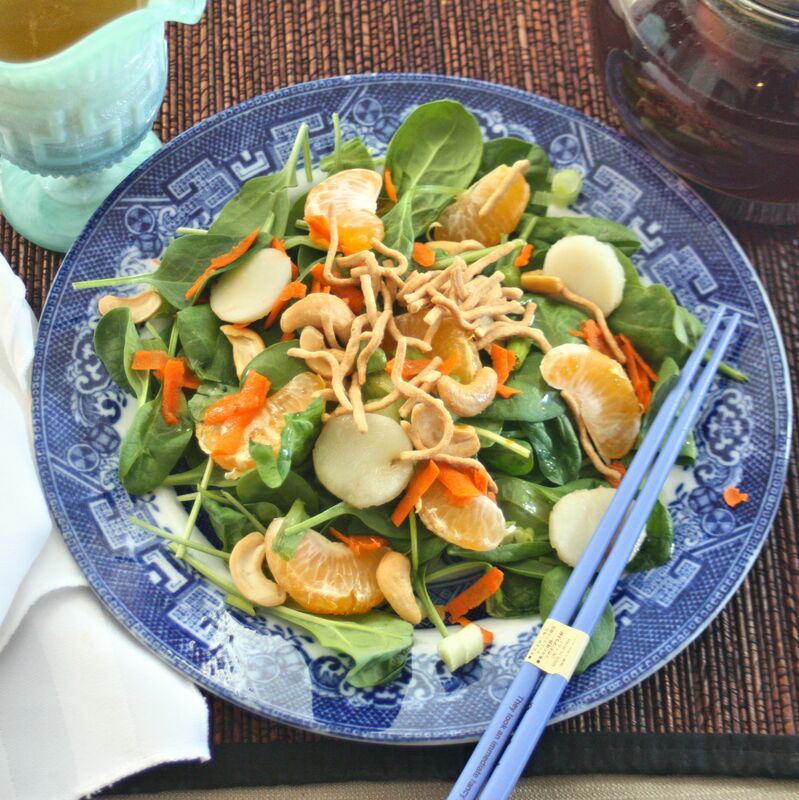 In my opinion, it isn’t as harsh as soy sauce and can be used as a finishing touch in dishes, or as a key component of my Ponzu Dressing that tops my Asian Salad. and then I added some mandarins, green onions, carrots, cashews, and water chestnuts. I mixed up some oil, rice vinegar, ponzu sauce, and dried ginger to make a dressing, poured it over the salad and tossed to coat. 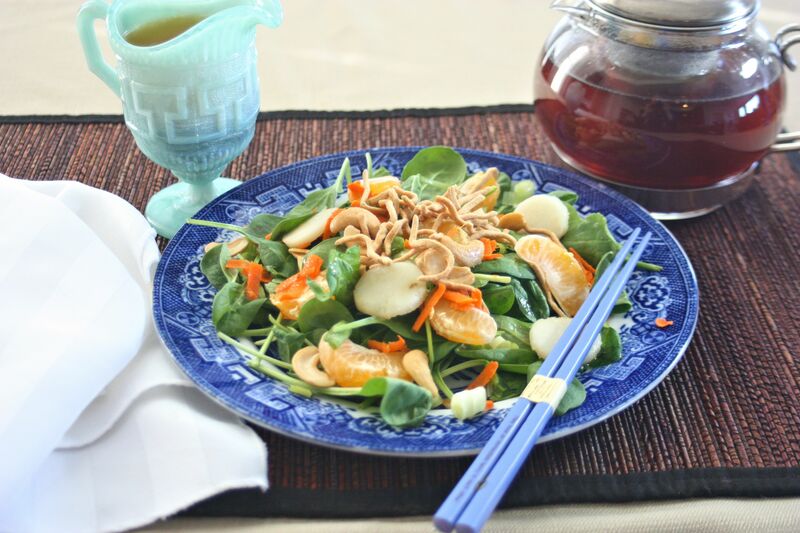 To serve, I topped each plate of salad with a bit of chow mein noodles – time to dig in! 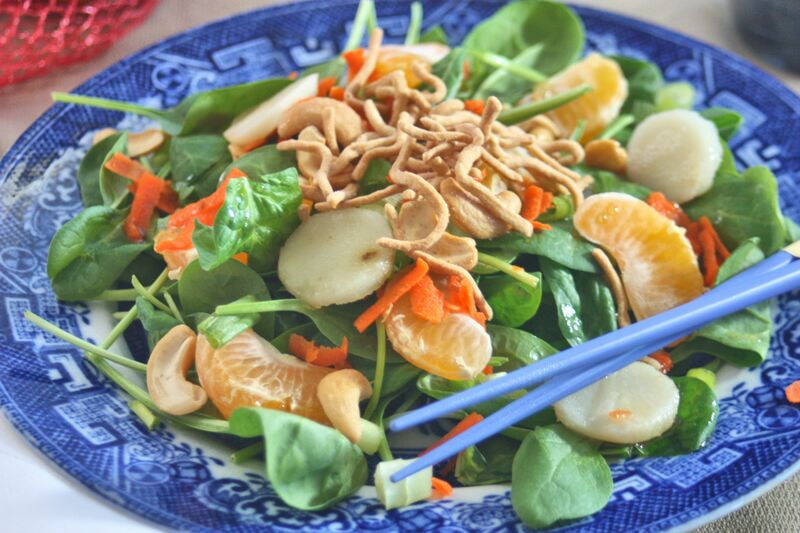 Place the baby spinach in a large bowl, then add the mandarin slices, green onion, carrots, cashews, and water chestnuts. In a separate, small container, stir together the oil, rice vinegar, ponzu sauce, and ginger until well mixed. 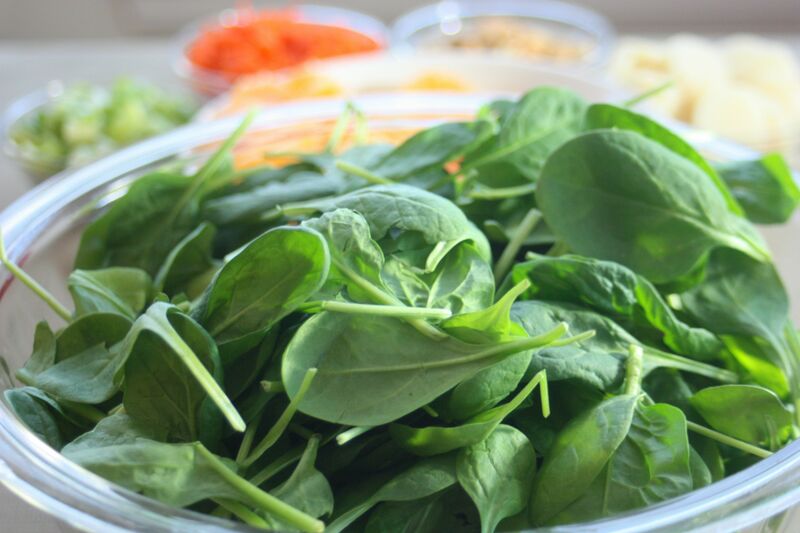 Pour the dressing over the spinach salad, and toss the salad to coat. Divide the salad between eight plates, topping each plate with two tablespoons of chow mein noodles, and serve immediately.